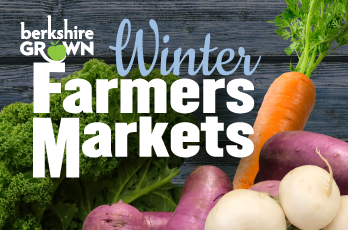 Fill your table with the best of local food from Berkshire farmers and producers! 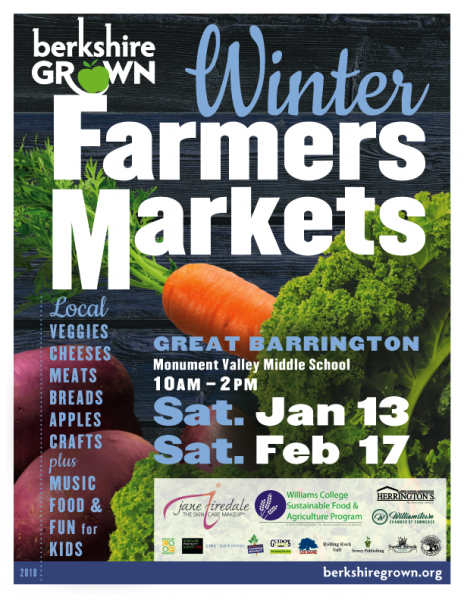 In the middle of winter – local vegetables, meat, cheeses, honey, maple syrup, ferments, preserves, breads, sweets, coffee, crafts, hot lunch and more! Plus music, fun for kids and all of your favorite farmers! Admission is always free and we gladly welcome SNAP/EBT customers at all markets. Thanks to our supporters at the Berkshire Co-op Market, SNAP dollars will be doubled at the market! The Healthy Incentives Program (HIP) matches SNAP purchases of fruits and vegetables at farmers markets, farm stands, mobile markets, and CSAs – providing SNAP customers with extra dollars to spend every month.